Your child will find joy in handling the smooth stones of her very own nativity scene instead of your "adult" nativity display. 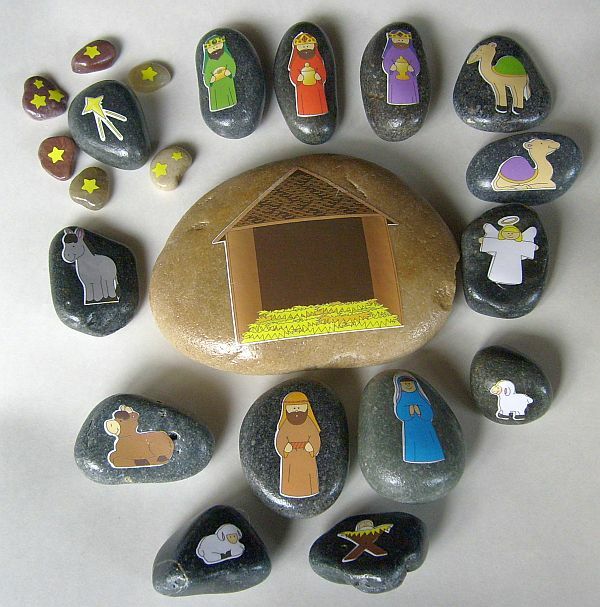 Intead of paint, I used a decoupage technique to apply nativity scene images to 21 smooth, decorative stones. Figures include, Mary, Joseph, Baby Jesus, Angel, 3 Wisemen, 1 large star, 6 small stars, 2 Camels, 2 Lambs, 1 Donkey and 1 Cow. A large decoupage stable stone is also included in this deluxe set. 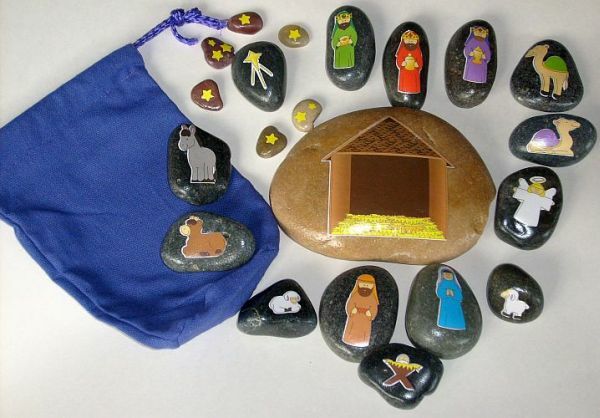 Dimensions of the Nativity Story Stone Figures range from 3/4" - 2-1/3" in length. 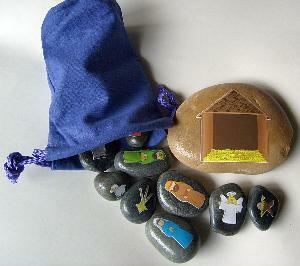 The stable Nativity Story Stone measures 5-1/2" wide. Total Weight of the set is approximately 3 lbs. All 21 Nativity Story Stones are sealed with a protective finish and can be used indoors or outdoors. However, avoid splashing them or submerging them in water or other liquids. A purple, canvas storage bag, measuring 4" x 7", is included with this set to keep the nativity scene figures organized.